The last fifty years have been dominated by the reproduction of sprawl development patterns. The big project for the next fifty years will be retrofitting sprawl into sustainable places. Considerable attention has been paid to development in urban cores and new neighborhoods on the exurban periphery. But in between, the out-of-date and unsustainable developments in existing suburbs also provide enormous opportunities for regeneration. 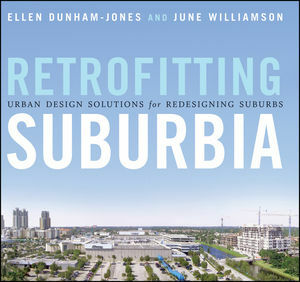 Retrofitting Suburbia: Urban Design Solutions for Redesigning Suburbs is a comprehensive guidebook for architects, planners, urban designers, developers, and elected officials that illustrates how existing suburban developments can be redesigned into more urban and more sustainable places. Framing the larger arguments advocating this kind of suburban evolution, the authors—both architects and noted experts on the subject—show how development in existing suburbs can absorb new growth and evolve in relation to changed demographic, economic, and regional conditions. Beyond simply re-skinning buildings or changing use, the best suburban retrofits systemically transform their neighborhoods, increasing connectivity and walkability, while contributing to affordability, transit, and sustainability. At once intelligent analysis, hands-on guide, and urgent call to action, Retrofitting Suburbia will open the way for architects and urban planners interested in sustainability and smart growth to recognize the opportunities in our oft-neglected suburban landscape. Ellen Dunham-Jones, AIA, is associate professor and director of the architecture program at the Georgia Institute of Technology. An award- winning architect, she has published extensively on urban design and criticism. She has taught at University of Virginia, MIT, and Lund University in Sweden and has been honored by DesignIntelligence, ACSA, and AIA for bridging theory and practice. She serves on several boards including the board of directors of the Congress for the New Urbanism and the editorial board of the journal Places. June Williamson, RA, LEED-AP is associate professor of architecture at The City College of New York /CUNY. An urban designer and registered architect, she has authored design guidelines and consulted on numerous urban planning projects throughout the United States. She has been a visiting professor at Columbia University, Georgia Institute of Technology, University of Utah, and Boston Architectural College. An accomplished researcher and author, she has written articles for the journal Places and other publications. Documents innovative case studies of prototypical American suburban developments (malls, commercial strips, office parks, cul-de-sac subdivisions) that have been retrofitted to new uses and forms. 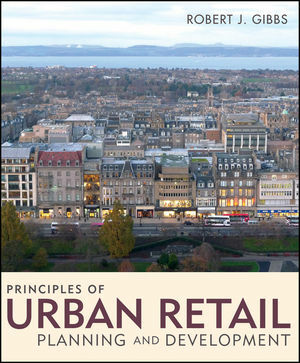 Provides examples of how a dead mall can be transformed into a thriving mall and office park with transit-oriented downtown, how malls can incorporate housing and other mixed uses, and how a failed mall can be converted to wetland or public park. Covers retrofits of office and industrial parks, residential subdivisions, and suburban apartment complexes.